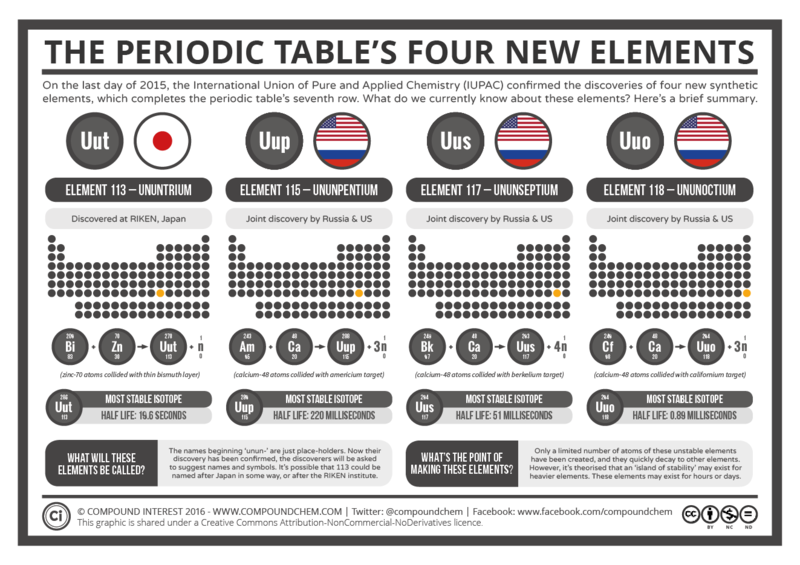 The periodic table just got four new elements, but this isn’t as groundbreaking as recent headlines would have you believe. Join Speaking of Chemistry’s resident killjoy to find out why. Seriously, though, this is some really cool chemistry. We want to thank C&EN’s elemental expert Jyllian Kemsley and chemist/chemical linguist Shawn Burdette of Worcester Polytechnic Institute for their help with this episode. ‹ What’s Your New Year’s #ChemResolution?